Study abroad in Spain can be an unforgettable experience. Whether you’re going to be studying abroad for a couple of weeks or a few months – or even if you’re just thinking about applying to study abroad – it’s always a good time to think about what you like might do once you’re here. After all, as they say, time flies when you’re having fun! Spain is an incredible country with lots to do, see, and experience. It offers a little bit of everything for all sorts of tastes. There are big bustling modern cities, charming little towns, and everything in between. We’ve created a list of things you have to do when you study abroad in Spain so you don’t miss out on anything. Any study abroad experience in Spain is even better if you speak the local lingo. Even if you only speak a little bit of Spanish, knowing some of the language will help you get more insight into the local culture. It will also help you make new friends during your stay. There are lots of ways to do this. Beginners can pick up a few new phrases and practice them at a conversation group. Advanced learners could sign up for a class alongside local Spanish students in an area that they’re interested in. Either way, the best way to learn a new language is to have fun while you’re doing it. Relax – you’ve got this! Looking for more tips for how to improve your Spanish? Here are the best ways to learn Spanish! One of the most fascinating things about Spain is that each section of the country has its own unique style and feel. You might be surprised at just how much diversity there is packed into this one country! This doesn’t have to mean spending a lot of money or traveling for hours. There are plenty of places to visit near popular study abroad cities. Studying in Madrid? Take a day trip to Alcalá de Henares, birthplace of Don Quijote author. Based in Barcelona? Visit the medieval city of Girona, a Game of Thrones filming location. 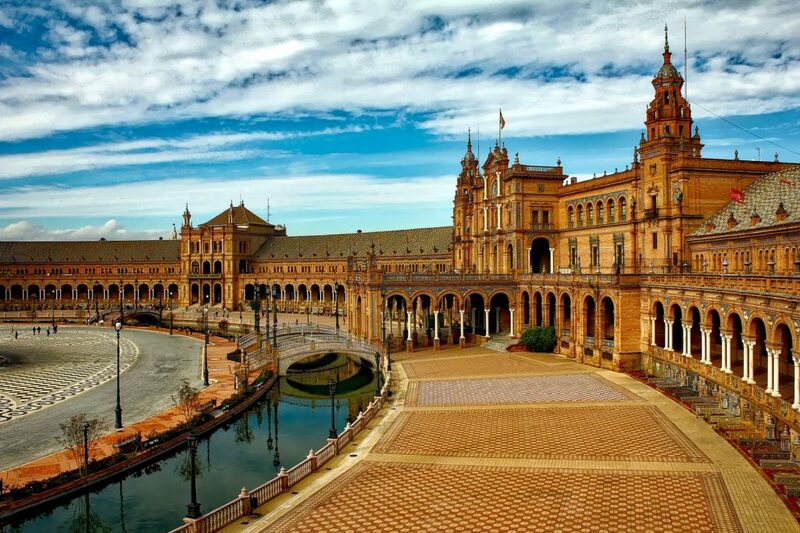 Or how about Sevilla? 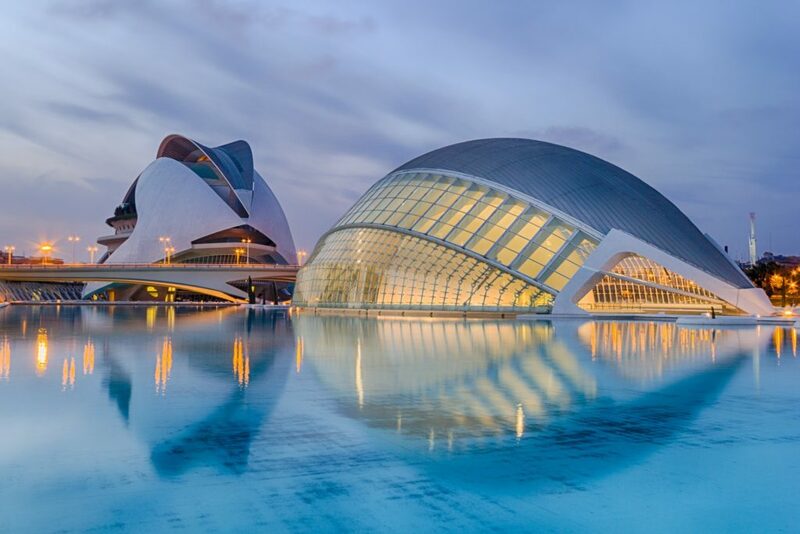 Pop on over to either Jerez, famous for its flamenco and sherry, or Córdoba, home to some of the most spectacular architecture in the country. You could even visit one of these amazing traditional festivals in Spain! Food is a cornerstone of Spanish culture. Study abroad in Spain is the perfect chance to enjoy the country’s cuisine first-hand. Start by rounding up a group of friends to go out for tapas. This gives you the opportunity to try lots of little tastes of the flavors that make up Spain. As a bonus, tapas are usually affordable (as well as lots of fun). But don’t stop at just tapas. Spain has much, much more to try. Go out for a traditional menú del día for a reasonably priced three-course meal, or try checking out your local market. Of course, you can’t forget about sweets either! Did someone say churros? Read more about the foods you have to try in Spain! OK, this one is a boring one, but it’s also really important. Make sure to double and triple-check all your paperwork requirements for your study abroad program. Moving to another country – even if it’s just for a little while – can be complicated. It would be a shame to have your exciting experience overshadowed by paperwork worries. Check you’ve got everything in order well in advance. Give yourself plenty of time in case something comes up. Make copies of important documents, and consider emailing scans of them to yourself. And then – have fun on your study abroad trip knowing that all the boring stuff is taken care of! Need help with the procedure? We know it’s complicated. Our super experienced team is here to help you any step of the way if you need it. Get in touch if you need help, from visas to housing. Study abroad can be a really fun experience, but it can also be really challenging at times. You’ll learn and grow a lot. Because you’ll already be out of your comfort zone, why not jump on the opportunity to really stretch your wings? Sign up for a class you’re interested in, take a trip to that place you’ve been dreaming of, say hi to somebody new at your local café – whether it’s something big or small, this is your chance to go for it. Try lots of new things. What have you go to lose? It might feel a bit weird at first, but trust us. You might just find something new that you love! We’re experts on all things Spain and study abroad. If you have any questions about your study abroad in Spain, make sure to let us know. We’re here to help make sure you have an amazing time!